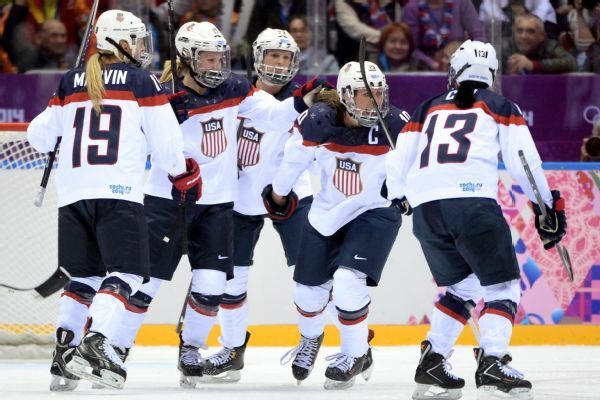 For the 2019 season going forward USA hockey, the US National Governing Body for the sport of Hockey in the US has adopted new policies that are inclusive of transgender and non-binary athletes. This policy comes right at the time as more and more transgender and non-binary athletes are taking to sport and helping to shape our understanding of how sports will evolve and become more accessible to athletes who exist outside the gender binary. The policies are broken down based on the structure of USA Hockey’s programs. As most of the USA Hockey’s programs both competitive and recreational, are not restricted by gender. The policy clarifies that all players are welcome to participate within those programs regardless of gender identity. This includes youth hockey, junior hockey, high school/ prep school and adult co-ed hockey. The policy then outlines the guidelines regarding USA Hockey Programs that are restricted by gender. For transgender athletes wishing to compete in girls recreational hockey, which are hockey programs that include 12 years of age and under as well as 14-19 years of age that athletes are permitted to compete with parental permission and written confirmation of their gender identity from a health care provider, which could be a physician, counselor or other qualified professional. The common talking point regarding transgender athletes is in regard to hormones, specifically testosterone, that have an effect on the physical development of an athlete which can influence their strength, speed and power. In the girl’s competitive hockey division, the policy clarifies that male to female transgender athletes are eligible to participate with the same requirements listed for girls recreational but also adds that confirmation by a medical professional that the athlete has undergone a minimum of 1 year of testosterone suppression therapy is required as well. For transgender athletes who identify as female to male but have not begun testosterone hormone therapy are permitted to compete in either the girls or boys division. However, once the athlete begins testosterone hormone therapy, they are only permitted to compete in the boys division. Adult transgender athletes wishing to participate in a gender specific hockey program are permitted to participate in the division that reflects the athlete’s gender identity as listed on their registration documents (which the athlete must fill out every year to be able to participate). Educate yourself and your staff about transgender identity. Be prepared to discuss transgender participation with the participants of your program, particularly with parents of youth players. Respect the transgender player’s identity, and use preferred names and pronouns. Anticipate and address any transgender access issues, including making locker rooms and bathrooms safely available in accordance with applicable laws. Respect the player’s right to privacy and do not disclose any personal information (including whether a player is transgender). With the rights, dignities and respect of transgender people being taken away because of fear and ignorance, policies such as those adopted by USA Hockey, Scottish Athletics and other National Governing Bodies are important. Through sport, this will lead toward a greater change. The new policies developed for USA Hockey have received a lot of praise from transgender athletes and advocates, included from Chris Mosier (who consulted with USA Hockey about it) as well as Rachel McKinnon. While the IOC and NCAA trans-inclusive policies laid the foundation but the policies enacted by USA Hockey, Scottish Athletics and other national governing bodies are building the framework toward helping to create a more inclusive and welcome culture for sports, through knowledge, research, education and awareness, for all.